Meet Tucker! 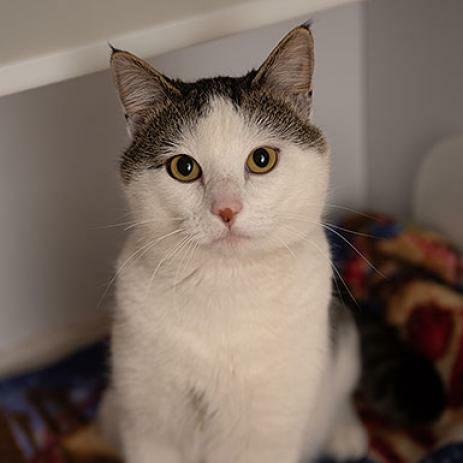 This sweet boy gets along great with other cats (but would also be perfectly happy as an only cat), does pretty well with dogs, and is an absolute joy to have around the house. 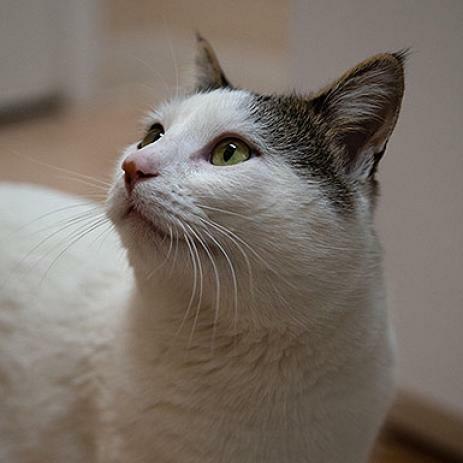 Tucker is laid-back and relaxed about 95% of the time- he enjoys laying in bright spots of sunshine on the floor and window perches where he can chill out and watch the birds fly by. The other 5% of his time is reserved for adorable, spontaneous zoomies around the house interspersed with little cat "trilling" sounds. He enjoys snuggling on laps and shoulders, but isn't overly needy. Tucker would truly be a great companion for any household. Interested in meeting Tucker? Click the adopt me button above to fill out an adoption survey!